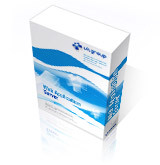 VitGroup has started its business in 2001 at L'viv, Ukraine and since that time has already successfully completed over a dozen of different projects. We are professionals in web design and web development. The mainstream of our business is a broad variety of Internet solutions from simple web-sites to large multipurpose portals, from simple applications to distributed business systems. We offer you the information on our products and services. This web-site is intended to give you a general idea about our company, engineers' experience and the way we live and work. The main idea of our services is high quality for reasonable price. We hope you will enjoy. If any questions will arise feel free to contact us.